Cabinet hardware isn’t just for kitchens. 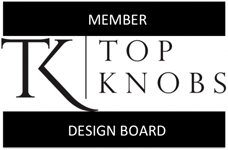 Creative Closets Ltd. from Allentown, Pennsylvania chose Top Knobs to complete an award-winning reach-in closet renovation for a corporate office. Photography Courtesy of Ellyn G Elstein Creative Closets Ltd.
Far from your ordinary closet, the space includes a beverage station that is complete with a refrigerator, coffee maker and shelving for mugs and coffee. 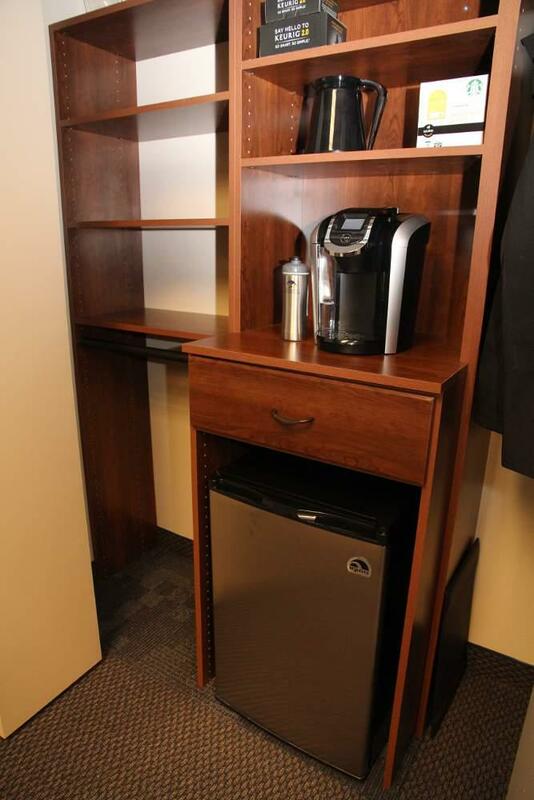 Also included in the reach-in closet is space for sports coats and business clothes to keep outwear safe. 5 foot bi-fold doors enclose the space when the closet is not in use. The project was finished off with a Oil Rubbed Bronze Bow Pull from the Top Knobs Edwardian Collection. The closet went on to win the Top Shelf Design Award competition in the reach-in closet category.